Whilst there are a whole host of fixed-odds betting sites online these days, if you want to have a spread bet on sport then there is decidedly less choice. One of the principal spread betting platforms out there and the most established however is Sporting Index. Below we will take a full, in-depth look at Sporting Index to see how well it stacks up against its competitors. – What sports and games are offered? – Is it a site you can trust? 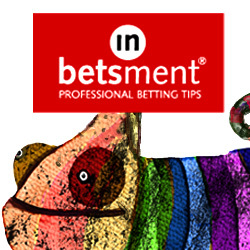 – What are the welcome offers and free bets – are they worth doing? – What is the user experience like? – Are the odds offered any good? – How good is the customer service? And all the other crucial info you need. Sporting Index was founded in 1992 with a staff of just six and has grown into one of the world’s largest sports spread betting companies with over 300 staff now. Along the way they had some interesting times, including suffering a huge loss when Brian Lara hit 375 for the West Indies against England in 1994 and losing over £1m on the 2010 General Election as people bet against the Tories late on. They were the first sports spread betting to go online, introducing their website in 2001 and followed that with releasing a mobile app in 2012 and an online casino in 2016. Sporting Index are a registered company in the UK and their head office is also in the UK, in London. What sports and games are offered? Within each sport there are a huge range of markets. For football for example, there are markets on each match like total goals, corners, goal minutes, bookings, player performances and much more besides. On top football matches there are often over a hundred different markets you can bet on. Cricket is another popular sport to spread bet on and Sporting Index offer markets including not just how many runs each team and player will score, but ton-ups, sixes, wides and a range of player markets. In golf you can spread bet on a player’s finishing position in a tournament, match-ups and the top American, European, Asian player and so on. For all sports offered there are a variety of markets to get stuck into. There are explanations of what each market means in the “i” box next to the market, so if you aren’t sure then just hover your cursor over that to get the explanation. Is It a Site You Can Trust? We would say that Sporting Index is certainly a site you can trust. They are well established, having been around for over 25 years and have a strong reputation for honesty and reliability. They are regulated by the Financial Conduct Authority under registration number 150404 in respect of non-financial Spread Bets; and the British Gambling Commission (licence number: 000-027343-R- 308898-008) in respect of Fixed Odds Bets. We have used them ourselves for a number of years and have always found their payouts to be fast and reliable and the customer service to be good. The welcome offer at Sporting Index does change now and then, but at the moment it is a very good “£100 to bet with for new accounts” offer (T&Cs apply, 18+, new customers only). This means that new clients get £100 to bet with that is non-withdrawable. Any losses over £100 are your liability. There are some market restrictions in terms of what you can bet on and a 7-day time limit to use the offer after signing up. Please check Sporting Index for full terms and conditions. This is a good offer as if you limit your liability then it is akin to having some free funds to bet with. You can get the £100 to bet with offer here. What Is the User Experience (UX) Like? The Sporting Index website is an easy one to use and has a nice feel to it. The colour scheme is simple and effective and navigation around the site is easy. The mobile app is also user-friendly and you can place bets on the go with ease. We haven’t encountered any problems with usage in terms of the mobile app or website. Are the odds offered any good? One of the things about spread betting websites is that there isn’t much competition, with only really SpreadEx and Sports Spread offering spread betting on sports. It is more of a niche form of gambling and tends to be more tightly regulated than traditional fixed odds betting, so that is understandable. Without much competition though – and without a comparison site like Oddschecker to quickly compare the odds – it is difficult to give an accurate overall picture of whether the odds offered by Sporting Index are any good. In our experience though, there often isn’t much difference between them and the other two spread firms. On many occasions they often the same spread, but sometimes they will offer better odds and the other two firms will offer worse. Customer service in our experience has always been very good at Sporting Index. There are a number of different channels to contact them on including live chat, e-mail and phone, as well as Twitter or even by post if you want to go old-school. Queries are normally dealt with within 24 hours, although some may take longer. For additional information it can also be worth checking out the FAQs page, which covers regular questions and issues you may have. For us, Sporting Index is really the number one spread betting site in terms of its overall offering and quality. With a great variety of markets, a very good Welcome Offer of £100 to get started and excellent customer service, they score highly in just about all departments. Having been around for over 25 years they are also a trusted brand which is important in the sometimes questionable world of online gambling. So if you fancy a spread bet but don’t yet have an account with Sporting Index, you would do well to check them out here.